I have often thought about trading the Netherlands for Paris. This is all just hypothetical, but I can see myself enjoying a croissant everyday and living la joie de vivre in France. Baguettes, pain au chocolat, macarons, madeleines. What would I really miss from my home country? 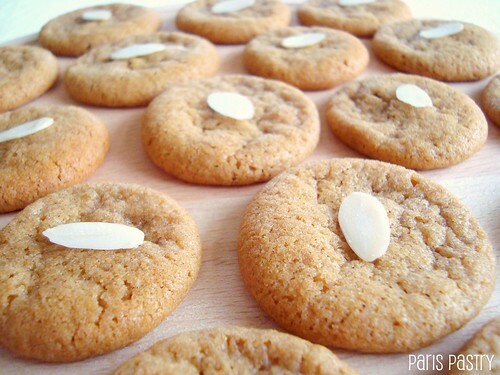 ... Speculaas Cookies! I'm sure I'll have to pack an extra suitcase just to take a fair amount of speculaas cookies with me. What exactly is speculaas? Speculaas is a combination of different spices; cinnamon, ginger, nutmeg, cloves, cardamom and white pepper. You can easily make it yourself (I wrote the instructions down for you, scroll under), but I bought the spices allready combined. In case I forgot to mention, or that you haven't catched on - keep up! 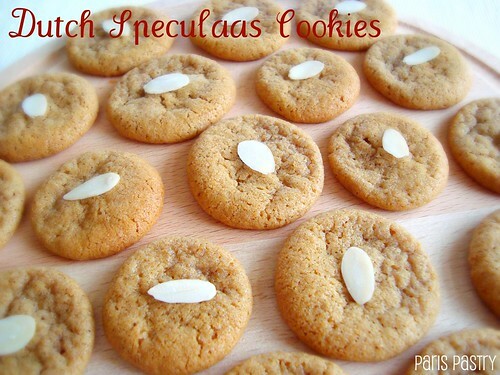 ;) - speculaas is a traditional Dutch/Belgian cookie that is made for the holiday St. Nicholas Eve on December 5th. I am very content with devouring a pack of store-bought speculaas cookies, but I wanted to make it from scratch myself. I googled a recipe and tried it out today. The cookies are delicious, however, this particular recipes seems to me as an American version of speculaas cookies. Meaning, a little too much butter and sugar. Not that there's anything wrong with that :), but I'm determined to find the perfect authentic Dutch speculaas recipe somewhere in the near future. Rating: 4 out of 5. Ingredients: This will make a very large amount, I made half the recipe. - Cream the butter, sugars, and vanilla until they are thoroughly mixed and fluffy. Add the eggs, one at a time, and continue beating the mixture on medium-high until it turns fluffy again. 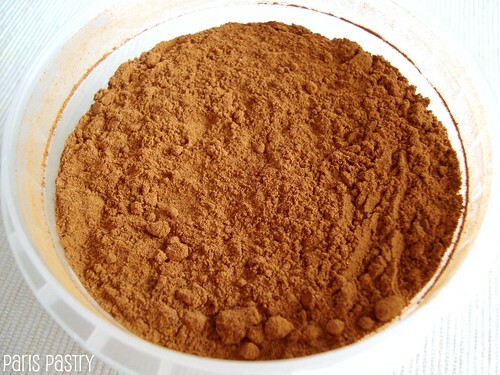 - Mix the remaining dry ingredients in a separate bowl. Turn the mixer speed to low and stir the dry ingredients into the sugar mixture in thirds, until the dough is fully mixed. Refrigerate the dough for at least 2 hours, until it is thoroughly chilled. - Preheat the oven to 350ºF and line a baking sheet with parchment paper. Roll out the chilled dough to ¼-inch thick (⅛-inch thick if thin, crispy cookies are preferred) and cut into shapes with a cookie cutter. If desired, use a traditional Belgian speculaas mold by pressing the chilled dough into the mold, cutting away the excess dough, and inverting the mold onto the baking sheet to release the cookie, design-side up. - Bake the cut or molded cookies for 10 to 12 minutes, until the edges appear set and just begin to brown. Allow the speculaas to cool for 5 minutes on the baking sheet and then transfer them to a wire cooling rack. they look cute though! they look a bit like snickerdoodle cookies almost, due to the round shape foremost. but I bet they taste great and the smell of a fresh baked batch must have been wonderful. mmmm these look really good. i've been itching to bake something for the past couple of days. These look very tempting, are they crisp or do they have a chew? @How To Be Perfect: They're supposed to be crispy, but mine turned out chewy. They look a lot lighter in color than traditional speculoos (that's how it's spelled in France), no? In any case, they sound delightful! @Lucie: It's true, these are lighter than they're supposed to be. The recipe needs tweaking! First, I adore your little text about, how you imagine living in France. :) That's really cute. They both sound and look lovely! I've been curious about speculaas ever since trying a waffle in NYC with a spread made from the cookies. These look yummy, even if not the traditional version. Where have these cookies been all my life??? They look amazing! I love it when you post traditional baking. Are they the same as the Speculoos you get in France?